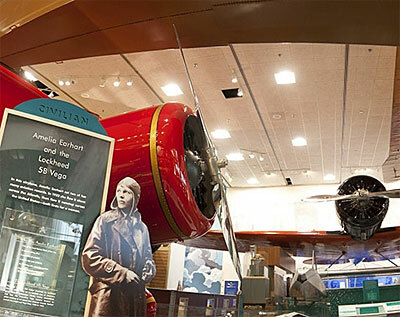 This renovated exhibition highlights the growth of aviation and rocketry during the 1920s and 30s and features famous "firsts" and record setters. It has been updated with new research and includes a broader selection of artifacts. The individuals featured were pioneering men and women who pushed the existing technological limits of flight and broke both physical and psychological barriers to flight. The exhibition features sections on "Military Aviation," "Civilian Aviation," "Black Wings," and "Rocket Pioneers." To engage children, the gallery features hands-on activities, as well as toys, books, and childhood memorabilia of the era in an area entitled "Don's Air Service." Related books are available for sale in the Museum Store.